After an exercise that has taken over a year, through a working group made up of members of our Board and staff, we have thoroughly searched, evaluated and tested several platforms. The working group has eventually settled on MemNet. From the feedback I have received from the working group, MemNet appears to offer greater value for money as well as more enhanced functionality with our membership data. We have worked closely with the team at OMNI Software to develop a new website and database for our small association and the process has been smooth and surprisingly easy. The product has been very flexible and has met all of our expectations, some of which were quite high. The support team are very knowledgeable and willing to work through issues immediately. They have been very accommodating, especially during the cut-over period when we were all getting to know the new system. Overall, I am more than happy with the end result and look forward to working with Memnet into the future. I would not hesitate to recommend this system and happy to be contacted to discuss. We have used the MemNet product over 7 years. The current version was chosen after a long evaluation of several other products that in the end could not offer the integration that we required. One of the main influences in the decision was the service levels offered over the years and the flexibility in assistance with onsite training / phone assistance etc. We have been able to work closely on several areas such as events and appreciate the continual improvements undertaken due to suggestions from all their clients. I have no reservations about recommending this Australian Built and operated Membership data base to anyone contemplating its use. Australian Marriage Celebrants Inc carefully researched the marketplace for a Membership and Event Management system. We chose MEMNET because we felt that Omni and their staff were a good fit with the kind of people that we are, and we felt that we could trust them to deliver. We spoke at random to a number of existing MEMNET users and were impressed that all of them, without exception, spoke highly of their experience with their MEMNET system and of their experience of dealing with Paul Adams and Brad Purton. We were sufficiently confident to have an overnight switch from our present hands on” systems to our MEMNET system without a parallel running period. We are very pleased with the way that our implementation process is going and would recommend MEMNET to any similar organisation. I recognise the 'extreme' effort you have put into assisting us design our MEMNET portal so we can offer our members easy processes when joining, searching for information, registering for events etc. Whilst this is still evolving under your professional and constructive stewardship as EO I simply wanted to offer you my sincerest thanks for all you have done and of course for your ongoing guidance and advice. You have made SMA-SA see that you truly care for us and the new frontier we are challenging ourselves to experience in order to serve our members and the sport and recreation community ..in the best possible way. So a big THANK YOU to you and your staff. Receive our latest brochure detailing all our features and benefits. The MemNet Membership Database is highly customisable for a flexible system that remains relevant to your organisation. It enables you to automatically maintain and record membership information. The Accounts Receivable Module provides a number of processes for both invoicing and accounting in order to remove double handling and to streamline the renewal process. The Event and Training Management Module allows for a range of event and training related activities to be performed and recorded within MemNet. We can provide you with a range of web development services to ensure that you have a web presence that is modern, easy to find, interactive, Responsive on all devices, so you have control of your website content. Increase your web presence with the Member’ Self Service module. This provides a member login and allows members to view their information and access member services and content. 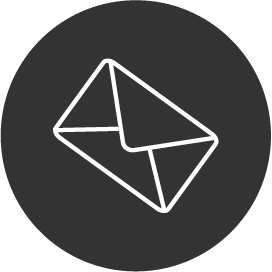 MemNet is able to generate bulk email communications and post documents from our mail generation module. These communications can be targeted to specific segments of your membership. The online MemNet Subscriptions Module allows you to easily set up, record and update recurring subscriptions in order to ensure you are always kept up to date with their status. OMNI can provide you with a range of web development services to ensure that you have a web presence that is modern, easy to find, interactive, responsive on all devices and gives you control of your website content. We have solutions for all budgets, from highly professional, responsive templates through to fully custom designs. All of our websites are built on the DNN Platform, a professional grade framework which continues to be a leader in Content Management Systems. DNN is used to build solid reliable websites around the world, and has done for more than a decade. Once the website is built we offer ongoing SEO and content management services to help maintain your website and keep it up to date. Get in touch today to receive your free brochure or if you have any enquiries don’t hesitate to contact us. MemNet is a web based integrated Membership, Subscription and Event Management System built and securely hosted in Australia specifically for the Australasian market. Contact us to organise an online demonstration of MemNet.